Ever since my night at Despacio (yes, I’m still banging on about it), I’ve become obsessed by beats per minute – most particularly, tunes that check in at less than 110bpm. I had the best dance of 2013 c/o James Murphy and the 2ManyDjs boys. It was uncanny how many of the number of killer tunes the Despacio team dropped also happened to be some of my official Favourite Tracks of All-Time™. We evidently share exceedingly good taste. Ever since, I’ve been obsessed with pace, clocking bpms using apps on my phone and generally being a right proper geek about it. The home playlist has included the likes of Herb Alpert’s Rise (the first tune I played of 2014 at some ungodly hour of New Year’s Day after a night at our local with Phil Asher); Tullio de Piscopo, Stop Bajon! (Primavera); Chris Rea (don’t laugh), Josephine; and the crown jewel in last weekend’s bumper haul from Greenwich Music & Goods Exchange*, Fern Kinney’s nine-minute epic, Groove Me. I was sure I’d blogged previously about my love of Fern Kinney’s other chugging classic, Baby Let Me Kiss You, but Google says no so I must have dreamed it. Anyway, if you’re a fan of space-age Moroder-esque wibbly-wobbly and drawn out grooves, this is the tune for you. Get past the first two minutes of nice yet unremarkable disco-pop and enter a land of long, slow, sultry cosmic disco glory. Pure perfection at 105bpm. 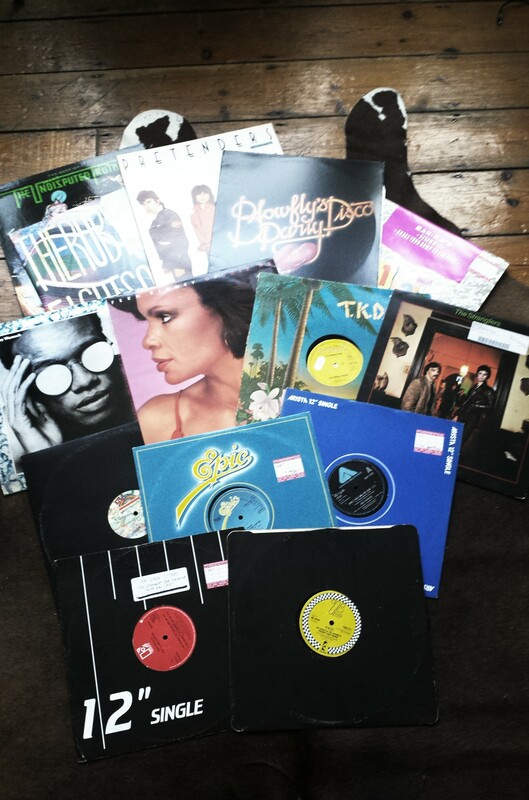 * Haul also included LPs from The Undisputed Truth, Pretenders, Clarence Reid aka Blowfly, Bobby Womack, the Ruby Suns and the Stranglers; 12″ action from D Train, Gaz, the Bar-Kays, T Connection, Eddie Kendricks, the Clark Sisters and Kid Creole/Coati Mundi. A fine selection if I do say so myself. This entry was posted in Clubs, Disco, Divas and tagged Chris Rea, Despacio, Fern Kinney. Bookmark the permalink.